This collar is full of MOD with it's colored stones and flat round spot pattern. Your dog will not just have some mod bling to show off on walks, but he'll look cool while strutting around. This is a 3/4" wide collar, tapered to 1/2" at the buckle. 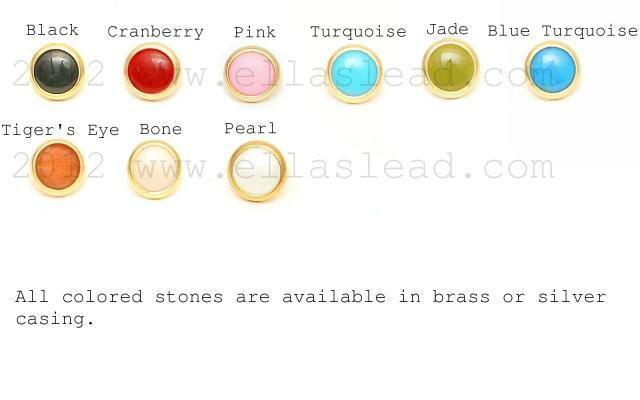 Full of colored stones and a flat round spot pattern in between each stone. This collar will be offered in your choice of Brass or Silver hardware/decorations.